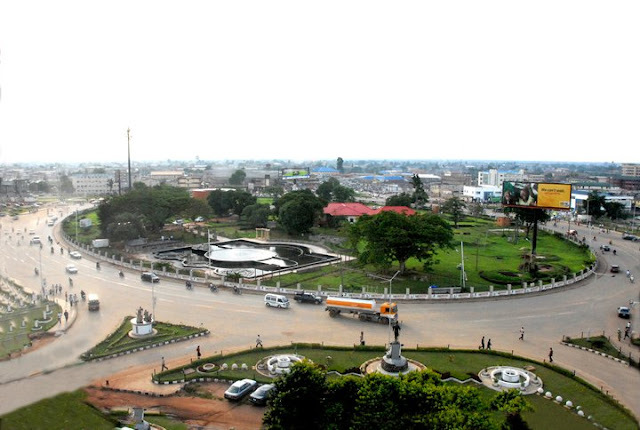 Edo State – "Heartbeat Of The Nation"
Located in south-south geopolitical zone of Nigeria, Edo State was created in 1991 when the old Bendel State was split into two in a state creation exercise that also led to the birth of Delta state. 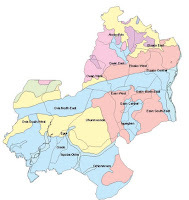 The state is made up of eighteen local government areas which are Akoko-Edo, Egor, Esan-Central, Esan-North-East, Esan-South-East, Esan-West, Etsako-Central, Etsako-East, Etsako-West, Igueben, Ikpoba-Okha, Oredo, Orhionmwon, Ovia-North-East, Ovia-South-West, Owan-East, Owan-West and Uhunmwonde. The Mid-Western Region was a division of Nigeria from 1963 to 1991, from 1976 being known as the Bendel State. 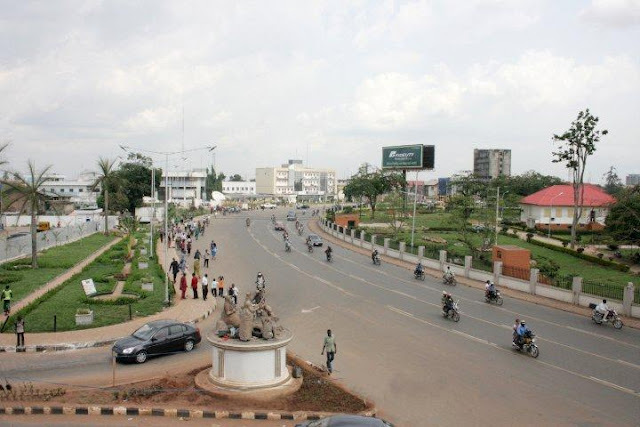 It was formed in 1963 from Benin and Delta provinces of the Western Region, and its capital was Benin City. It was renamed a province in 1966, and in 1967 when the other provinces were split up into several states, it remained territorially intact, becoming a state. During the Nigerian Civil War, the Biafran forces invaded the new Mid-Western state, en route to Lagos, in an attempt to force a quick end to the war. While under Biafran occupation, the state was declared as the “Republic of Benin” as Nigerian forces were to retake the region. The republic collapsed a day after the declaration as Nigerian troops overtook Benin City. In 1976 it lost Ughelli to the new Rivers state and was renamed Bendel. Edo State was formed on 1991 when Bendel State was split into Edo and Delta States. 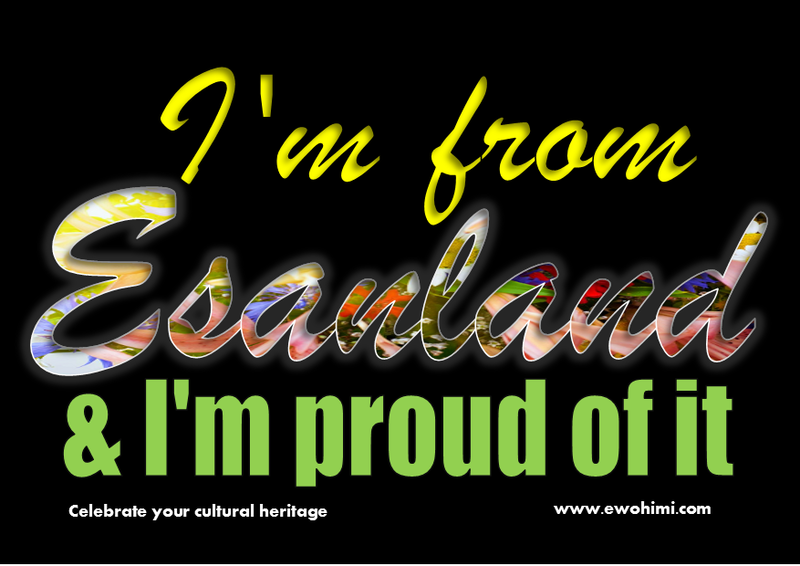 People & CultureEdo State has a population of approximately 4million and it is made up of three major ethnic groups; namely the Binis, Esan, Afemai, Owan and Akoko Edo. However the state has a high presence of residents from across the country. 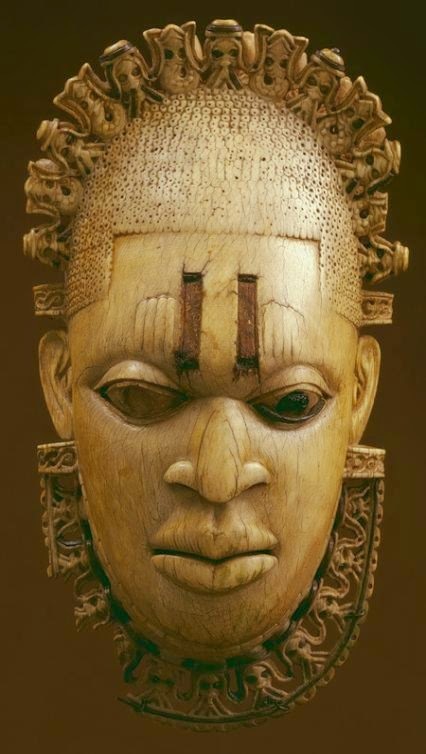 Benin City, the state capital, has a history of being one of the foremost destinations of the Europeans during their exploration of Africa continent some centuries ago. All the ethnic groups within the state have many things in common and apart from sharing a common origin, they are also exposed to the same cultural influence. These similarities are manifested in their religious worship, folklore dances, festivals, arts and crafts. (Geography) Edo State is an inland state in central southern Nigeria which is part of the nucleus of Niger Delta Region. 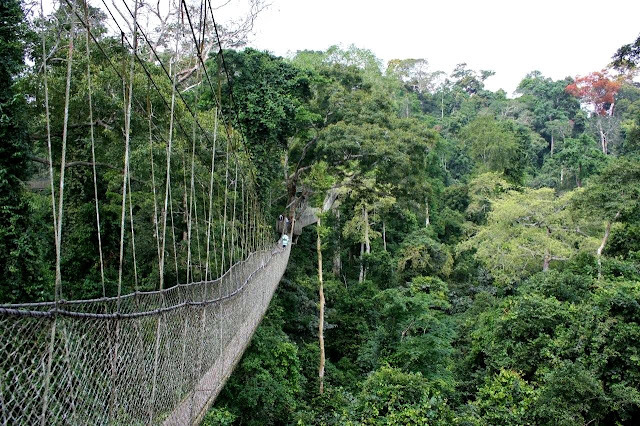 Edo State is low lying except towards the north axis where the Northern and Esan plateaus range from 183 metres of the Kukuruku Hills and 672 metres of the Somorika Hills. The state has a land mass of 19,794km square and it is bordered by Kogi State to the north, Delta State to the East and South, Ekiti State and Ondo State to the West. The climate is typically tropical with two major seasons- the wet (rainy) and the dry (harmattan) seasons. 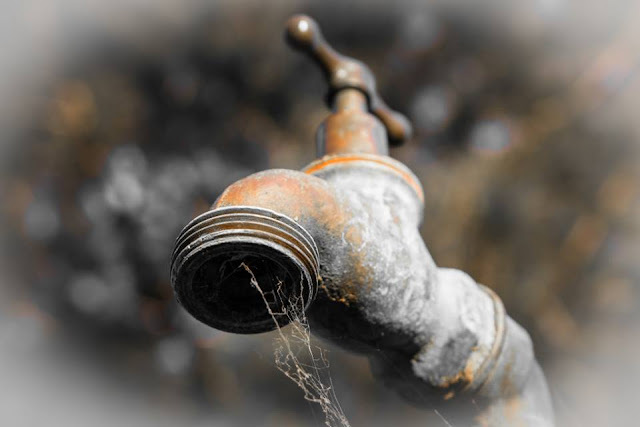 The wet season comes between April and November and the dry season between December and March. Cities & TownsOther important cities and towns include Benin, Ekpoma, Auchi, Uromi, Ubiaja, Ewu, Igarra, Abudu, irrua, Okpella, Uzebba, Afuze, Ibillo, Urhonigbe and Sabongida-Ora. Established in 1965 inside a forest reserve in Ogba village 6km from Benin City. It is renowned for local and other species of wildlife which are not easily found other parts of the country today. Known as the centre of bronze and brass artwork, Benin brass work is one of the remarkable art works in the world. Benin is well known as the place of the best bronze casters in West Africa. Bronze casters are all over the city. Oba’s Palace, Benin CityRebuilt in 1914, the palace is in the heart of the city which is a centre of historical monuments, whose history dates as far back as 900A.D. It is veritable repository of Benin history where crafts and culture, specimens of art works depicting historical events can be seen. The palace is a tenth of the size of the original place which was razed to ground in 1897 by the British forces. The moats which were built around the city to ward off enemies, are the most impressive city walls and moat known locally as “Iya” in southern Nigeria. Most of the walls were destroyed by the British when they invaded Benin in 1897. A portion of the remaining old city wall can be found along Murtala muhammed Way. This is a national museum located in the middle of the round-about in King’s square. The museum was constructed in 1973 and houses some of the most treasured antiquities and the world famous bronze works of the ancient Benin. Other works includes terracotta, Ivory carving and cast-iron artifacts etc. 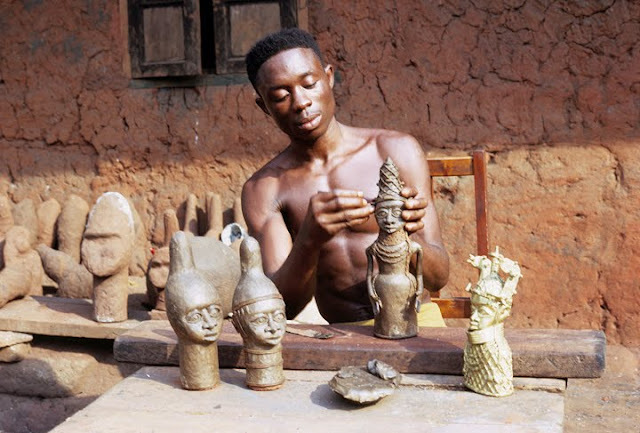 This is the centre of Benin’s best art and craft makers where bronze are casts into crafts. Edo Cultural DanceBenin city is blessed with interesting and amazing dances with the best of colourful costumes that make the dancers look beautiful. 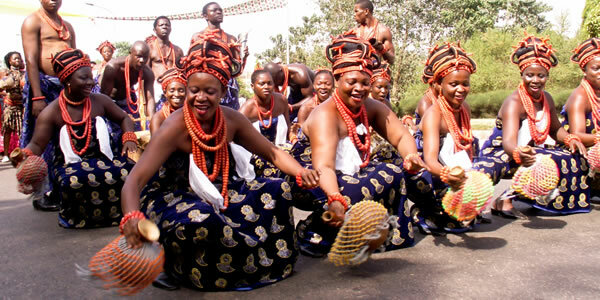 A visit to Benin city would afford the visitors the opportunity of learning more about Benin culture. Victor Uwaifor Art Gallery, BeninThis gallery is owned by a famous artist and musician Victor Uwaifor and it displays different art works and crafts. Visit the 2 biggest and most successful Palm Oil Estate in Nigeria located in Edo State. The Okomu Oil Palm Company was established in 1976 as a Federal Government pilot project aimed at rehabilitating oil palm production in Nigeria. 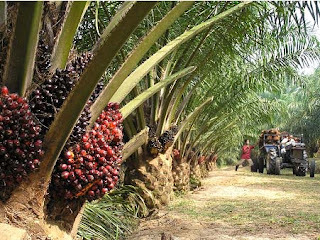 Okomu Oil Palm Company Plc has transformed into an economic success, earning presidential commendation and recording over 300 percent rise in profit after - tax (PAT) from the preceding year. Presco is a public limited liability company incorporated on September 24, 1991 under Nigerian law. Its corporate head office is at the company's Obaretin Estate near Benin City. Presco holds the Obaretin Estate (a concession of 7,000 hectares) and the Ologbo Estate (a concession of 11,000 hectares), both located in Edo State, and the Cowan Estate, a concession of 2,800 hectares in Delta State. 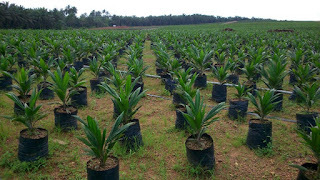 NIFOR is a research centre created by the Federal Government of Nigeria and mandated to research on producing the best yields in oil palms, coconut and other agricultural seedlings. This research centre occupies a vast land where oil palm plantations, coconut plantations, processing unit, laboratory, nursery beds, and residential quarters are found. This centre produced the seedlings that were planted and nurtured in Malaysia. 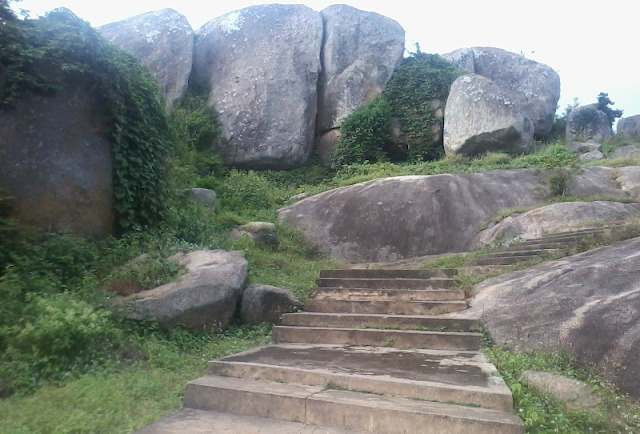 Ososo Tourist CentreOsoso is a hilly and rocky town situated on the boundary between Edo and Kogi states. There is a non-catering rest house on top of a hill of Ososo which provides a wide and spectacular view of parts of Kogi state. 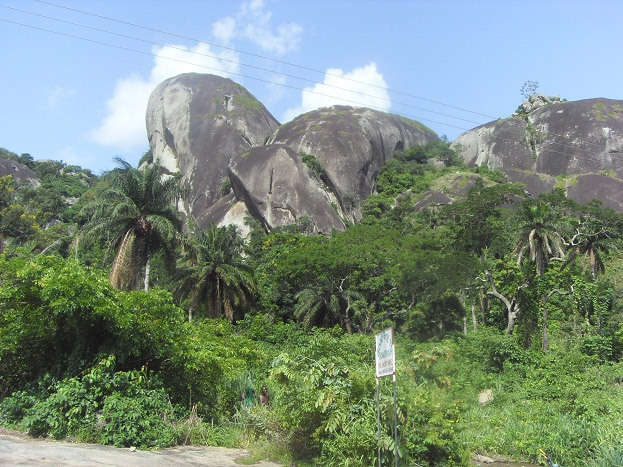 Located at the northern border with Kogi state, Somorika Hill has a picturesque beauty and environment. 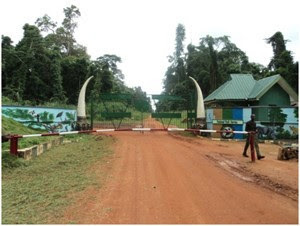 Located in Ovia South LGA, the park which lies 45km west of Benin City is a home of forest elephants, buffaloes, red river hogs, chimpanzees, leopards, bush baby, putty nosed guenon, porcupine, pangolins, duikers, antelopes etc . 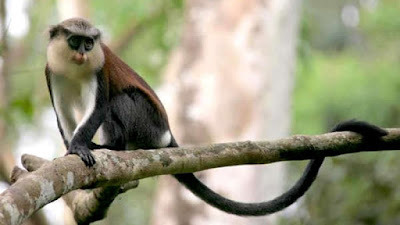 The white throated monkey which is one of the rarest monkeys in the world today is found in the park. Butterflies and birds are abundant making it one of the best places for bird watching in Nigeria. 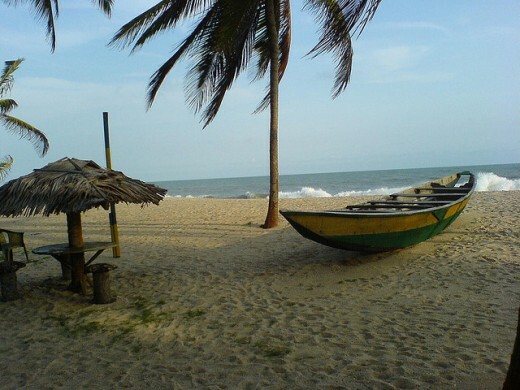 White Sand Beach of Agenebode is the ideal place to relax and unwind. Combining comfort convenience and friendly environment, the White Sand Beaches makes you to enjoy all the advantages for a memorable stay. For its splendid amenities tinged with the traditional Afemais hospitality, these sand beaches can be your perfect choice. The outstanding Hotel Amenities and Services will obviously make you to feel at home. For the convenient Location of Agenebode make it a perfect haven for the tourists.